April showers bring way more than May flowers. Foodies, rejoice! In case you’ve still been hiding in your apartment—scarred by what might just be the longest winter on record—you should know that it’s nice outside again! Well, nice-ish, anyway. Outdoor food markets are one sign that spring has sprung and summer is right around the corner. And while indoor food halls seem to be taking over, there are plenty of places to get your foodie fix in the open air. Brooklyn’s finest—and now arguably best known—outdoor market has become famous for offering the most Instagrammable food fads (remember raindrop cake?). While Smorgasburg returns with all its international flavors to its home in the East River State Park in Williamsburg on Saturday April 6 and Prospect Park the following day, beginning April 13, it will also set up camp at Oculus Plaza in Manhattan’s Financial District. That, of course, means one important thing: all the Big Mozz sticks you can handle! While Smorgasburg is moving into the southernmost point of Manhattan, the well-established food market on Hester Street is also returning for its 10th annual season on Saturday, April 13. Weather allowing, you can essentially walk from one lower Manhattan food market to the next. This outlet emphasizes vendors local to the neighborhood, giving it a homey vibe. Alongside showcasing apparel sellers, DJs, and food vendors (like The Doughnut Project and The Cheeky Sandwich!) 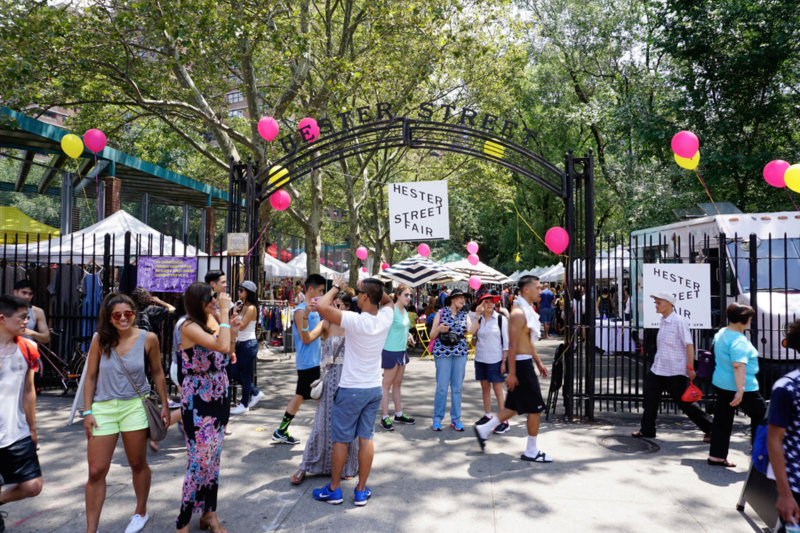 who all call the LES home, the Hester Street Fair is jumping on the CBD train every second Sunday of the month. All this noshing bringing on a powerful thirst? We gotchu! Making the pilgrimage to Flushing for some of the best meals in the city is going to become even more irresistible in the summer. 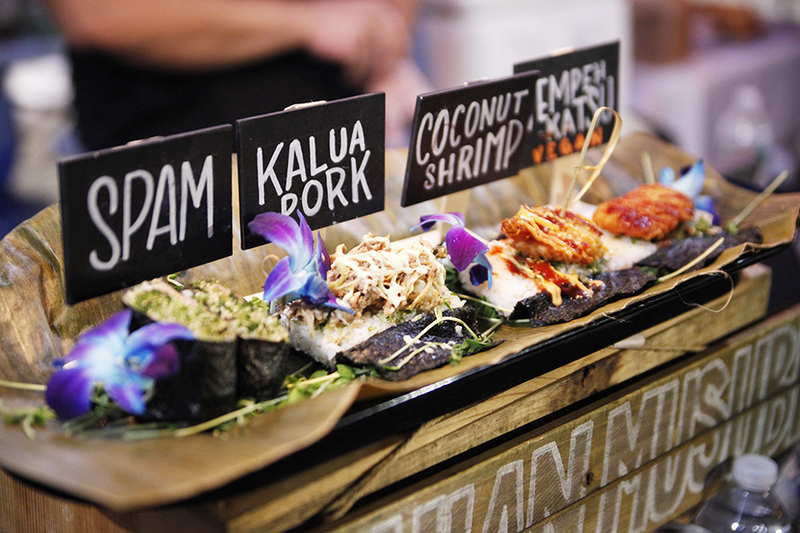 On a national holiday for some, April 20, the Queens Night Market will be back in business. 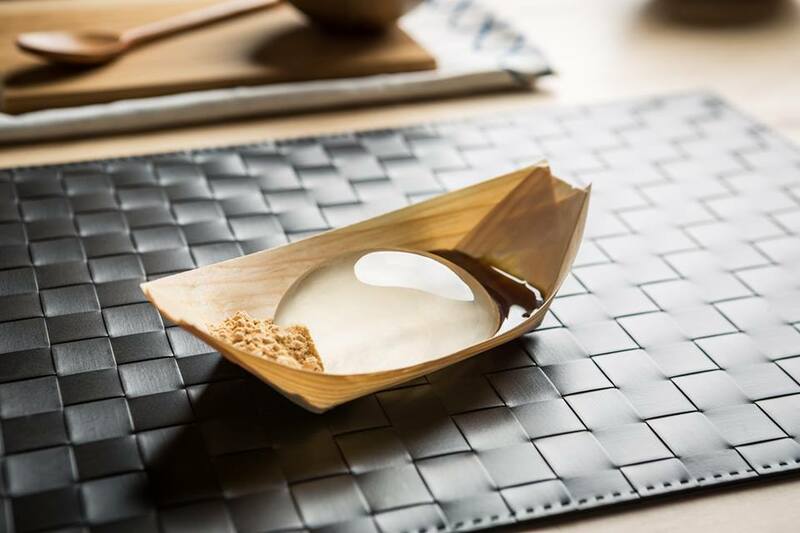 More focused on international dining, this is your chance to shop around for some of the best food in the world—sign us up for ceviche, jerk chicken, blintzes, and Korean scallion pancakes all in one foodie wonderland. The farther corners of Brooklyn have lots of deliciousness to offer, too. Aside from a flourishing art scene (where a friend of mine has run into Maggie Gyllenhaal not once but twice! 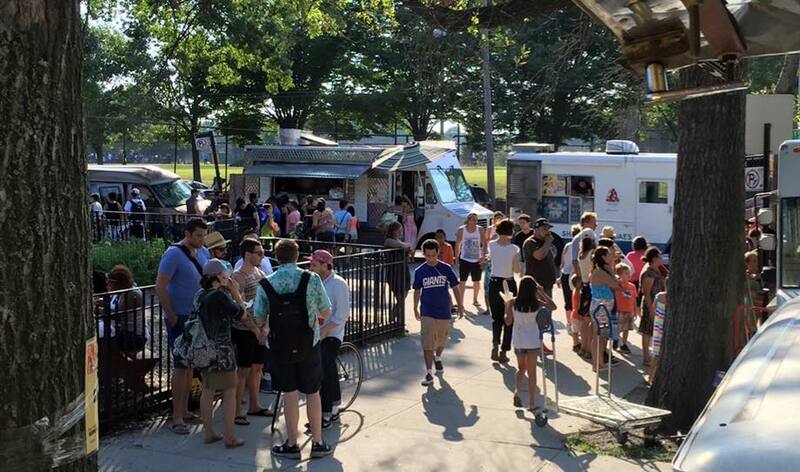 ), Red Hook Food Vendors is returning at the end of April. Winner of a Vendy Award (the self-proclaimed Oscars of food) for New York’s best street food multiple years in a row, this market offers authentic Latin American food. If you haven’t had an arepa yet, it’s time to change that. You might think it’s a cop-out to mention a market that stays open year-round, but now that the sun is back, it’s time to revisit an old friend: The Union Square Greenmarket is open every Monday, Wednesday, Friday, and Saturday from 8 a.m. to 6 p.m. 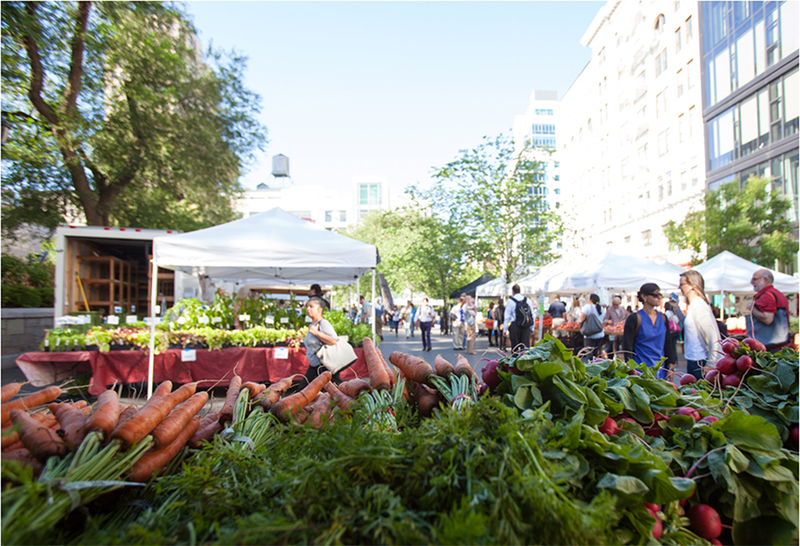 The other Broadway-adjacent food markets, Broadway Bites and Madison Square Eats, won’t open until May, but the farmers’ market and regular vendors in Union Square are always there for you with the freshest local produce, cheeses, meats, and more. Rain or shine! Now that we’ve covered the basics, go forth and eat. We’ll help!